When I saw the sign that said “Give a girl the right boots and she will conquer the world” I instantly thought of my cowgirl boots. When I put my cowgirl boots on it’s like the whole world changes. They make me feel confident in myself, and I literally feel like I could conquer the world! What better way to wear cowgirl boots than to a country concert, here are three looks that I love! I love wearing my cowgirl boots to country concerts and festivals! I put on my new outfit, curl my hair and fix my make-up to go see my favorite country artist perform. The one thing I love most about my cowgirl boots is that they match almost everything in my closet, from dresses and rompers to denim shorts and skinny jeans. A denim jacket or vest always pairs nicely with cowgirl boots on those chilly fall nights. You can find the original country girl wearing these Volatile Raspy Western Boots with a Silver Jeans vest. I paired this festive Amuse Society Clothing romper with these boots giving it the western chic look. Top off this outfit with a beautiful statement necklace and a fun fringe cross-body purse. This outfit will leave you dancing all night long! You can find the classy country girl wearing these De Blossom Collection Western Boots with a floral dress. This floral dress is made by one of my favorite brands, Everly Clothing. For a sassy but classy look pair pearls with your floral dress. This outfit would be perfect for a meet and greet session with your favorite artist! You can find the fearless country girl wearing these Soda Victory Western Booties with a pair of blinged out Miss Me Jean shorts. My favorite basics are the Pikos. I layered a plain white Piko crop top tank with a bandeau under it. Be fearless by tying your tank in a knot and revealing your midriff. Show off your personality by wearing your favorite necklace with this outfit. And don’t forget your sunglasses to protect your eyes while waiting for the country shows to start! This spring, the only thing on our minds is the return of the sun, warmer temperatures, and how quickly we can be tempted to loose our heavy winter layers. Spring, for me, has always represented the idea of renewal. We begin the process of packing away our winter wardrobes to make room for all of the new, fresh spring styles that are currently blooming (like flowers) in stores. I have to admit that I am personally excited to see all of the new, fresh spring trends that are coming out. Another bonus to warmer weather is the rapid loss in length that we see in bottoms! Inseams get shorter as the days grow longer and the temperatures rise. I’m a huge fan of shorts & capris! I will clear out an entire shelf in my armoire (it’s huge) just for all of my returning shorts and all of the new styles that I just can’t pass up. I’m definitely loving all of the new spring styles emerging from Silver Jeans Co. I’ve been stalking their Pinterest page for inspiration and came across their Style Wars East vs. West board! Absolutely love how the bloggers have styled out such fun and unique outfits around different Silver Jeans Co. pieces. My favorite outfit was from the lovely west coast blogger, Jenny Wu of Good, Bad, and Fab. Love, love, love the way she styled these yellow Suki capris with a floral print blouse. 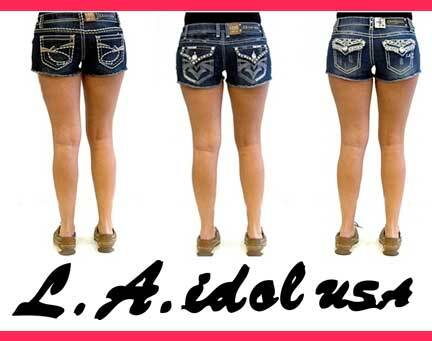 The ever popular, LA Idol denim brand also has a TON of new spring short and capri styles. They’re known for their crazy embellished back pocket detail, but they also have several basic stitch back pocket styles to choose from. But when it comes to chic embellishments, Miss Me denim takes the top spot. I’m a big fan of their (recently introduced) color pop embroidery stitching! I just have to say, I’M SOOOOO EXCITED FOR SPRING! I cannot wait to show some leg and soak in some (much needed) vitamin D! My go-to outfit for spring is an oversized tee partially tucked into a pair of shorts, cute boho sandals and a statement necklace. What will you be wearing? Be sure to visit us online at gliks.com for total access to our arsenal of spring/summer gear, and check us out on Pinterest for some style inspiration! 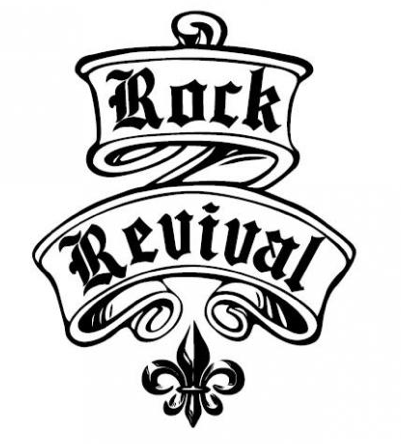 One of our long time favorite denim brands here at Glik’s is Miss Me. 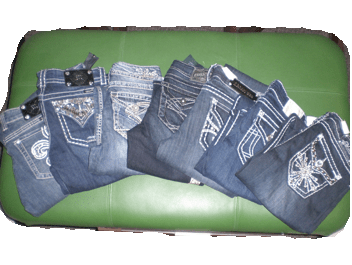 This designer jean brand began in 2001 with the introduction of a denim line that’s main aim was to offer a completely different class of product in terms of style for their customers. Miss Me designs their fashions to cater that “modern girl” and her many facades, regardless of her shape or character, and even her budget. 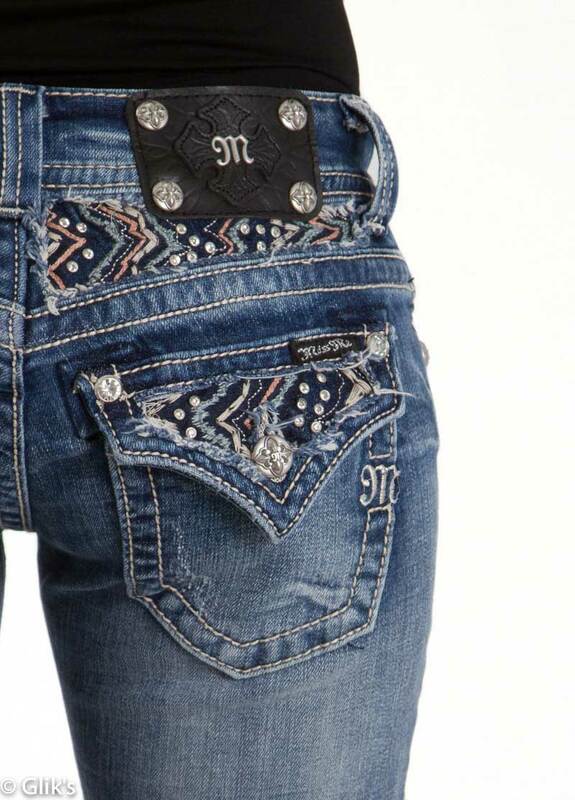 Each Miss Me denim style encompasses a very unique back pocket; almost all of their jeans are designed with fancy stitching, rhinestones, leather embellishments and nailhead stud details. To ensure that their jeans are truly “designer”, Miss Me never repeats the same back pocket pattern, allowing for each pair of their denim you own to be distinctively yours. All of this extra attention paid to construction and detail is what makes Miss Me jeans special to those who love fashion. With all that attention paid to back pocket detail and distinct stitching it is easy to see that these jeans exude character that is all “their own” and will be sure to outshine the rest of your wardrobe. 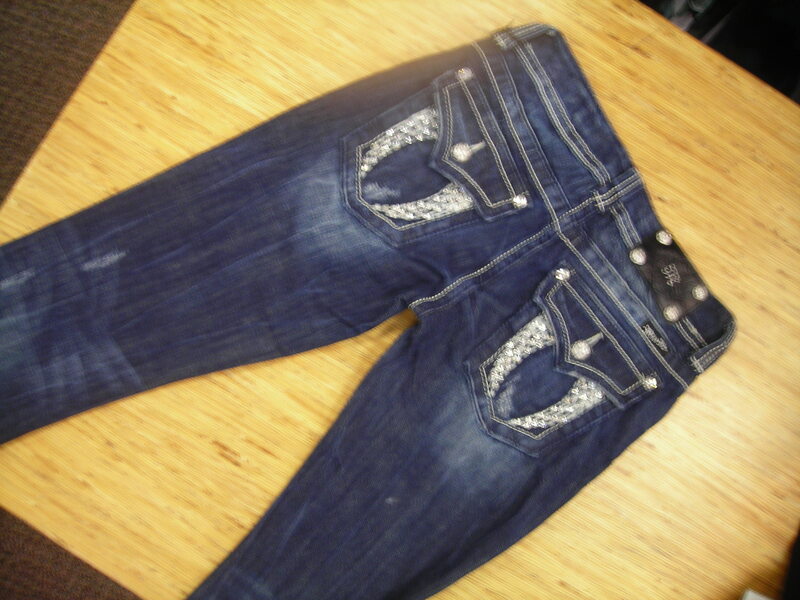 This in-your-face fashion attitude is sure to reflect the fashionista who is wearing these jeans. 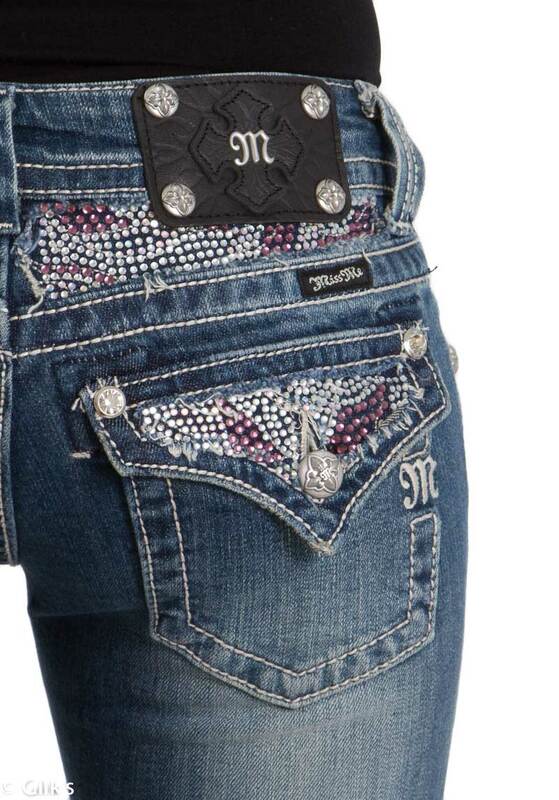 Aim to let your style shine as brightly as your Miss Me back pockets do! Okay people, it’s official. The last day of winter was March 19th. Meaning spring is in full swing giving us longer days, warmer weather and (my personal fave) SUN! Oh yes, I’m telling the truth people! The sun is a remedy for all our winter woes; it encourages good moods, less layers and showing some skin. My friends Silver Jeans Co., LA Idol, Miss Me and I have put our style caps on, thought really, really, really hard and came up with the perfect idea for showing some stylish skin this summer! Can you guess what that idea is? Denim shorts! That’s right, cut-off, frayed, cuffed, destructed, dark wash, medium wash, light wash and bling denim shorts. So many great styles to choose from and each with it’s own attitude. It’s music to my ears. Silver Jeans Co. is rocking the denim world with body conscious fits for different silhouettes. Have a little shape to your derriere? A high rise, relaxed fit like the Suki denim short is a perfect fit. Not so curvy, but want people to know you have a shape? 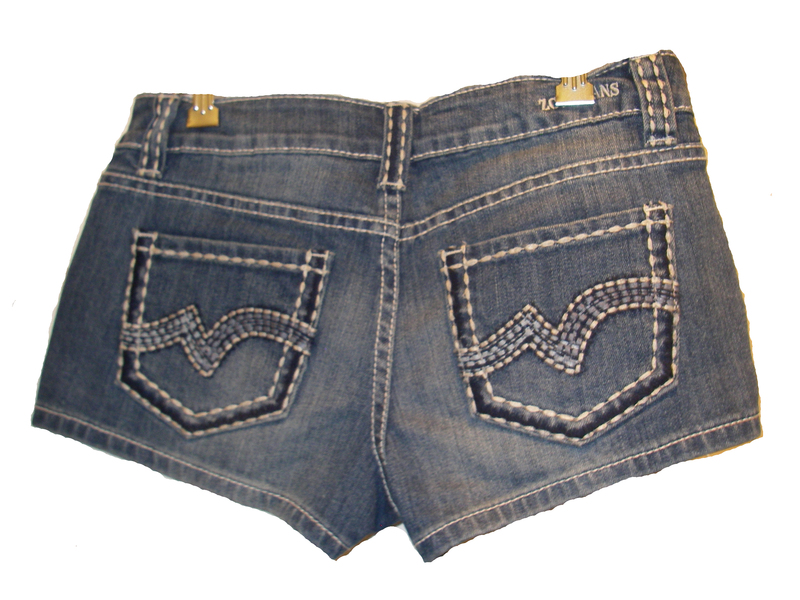 The Marti or McKenzie denim short has a low-rise, straight fit that will highlight all your best features! 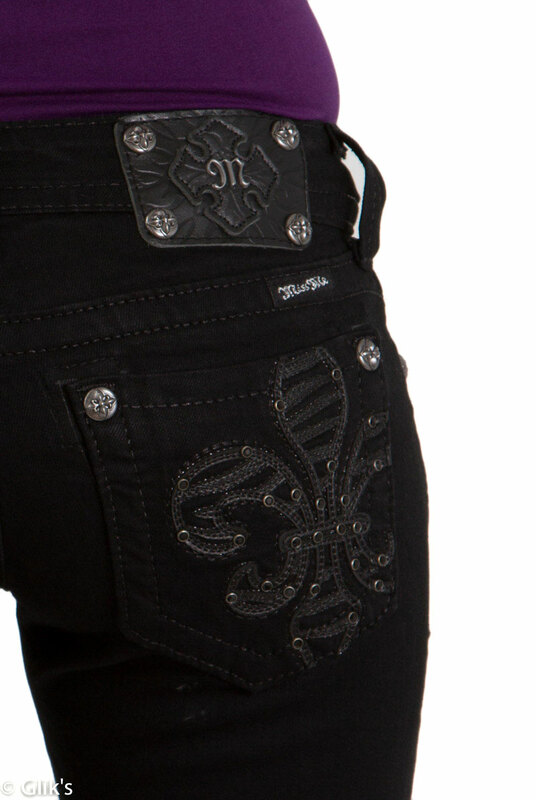 You’ve been a fan of LA Idol’s thick stitch embroidery, unique wash values and most of all bling back pocket detailing. This summer fall for the cut-off raw hem of the LA Idol Flag Pocket Jean Short or the blinged-out LA Idol Flap Pocket Fringe Shorts. Are you a girl with multi-dimensional style, who’s eager to make your fashion mark? Miss me jeans knows who you are and have no trouble delivering you the style that you expect from their jeans but in a denim short. 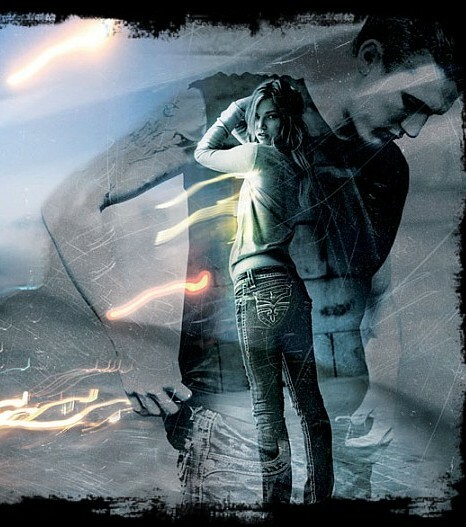 Machine Jeans attention to specialty wash value, finish and unique destructed looks has made it a leading brand choice among young fashionistas everywhere with a hip sense of style. Machine Jeans denim shorts are proving to be just as fabulous for this summer season. So, embrace the sun and enjoy baring some skin. Be sure to stop by any of your local Glik’s store locations or check us out online at gliks.com for all of you summer denim needs! As warmer weather approaches, skirt hem lines get shorter and pants slowly disappear into Capris and daisy dukes. Glik’s has all you need and more for the upcoming spring season. When I think spring, I think trading in thick, warm denim for light, airy shorts. The two biggest trends for shorts this spring/summer are bling and whip stitching. 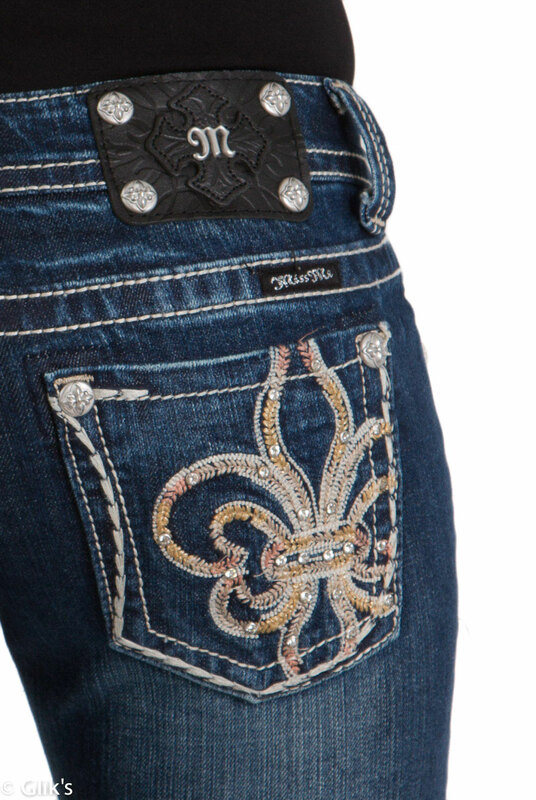 One of our top denim brands is LA Idol, is a denim line that is known for their bling. Whether it’s studs, glitter, or rhinestones, their denim is covered in glitz. Their shorts are the same way. So if glam is you’re style, these will be your warm weather bottom staple. Whip stitching is thick, visible stitching on the pocks and hems. It was hot for fall/winter and will continue on into spring. Plaid is a trend that won’t die out for awhile, and as proof for that statement we are getting tons of plaid shorts for spring. With a solid color tank or tee, these are fabulous! We also have blinged out and whipped stitched Capris, but the Capri trend I’m most excited about is work/dress look. Whether you are actually going to wear these around the office, or just for a more put together classic look, these are fabulous! I plan on pairing mine with a white button down and tie for a masculine chic look. Knit Waist Twill Capris are a light and airy take on cargo pants. 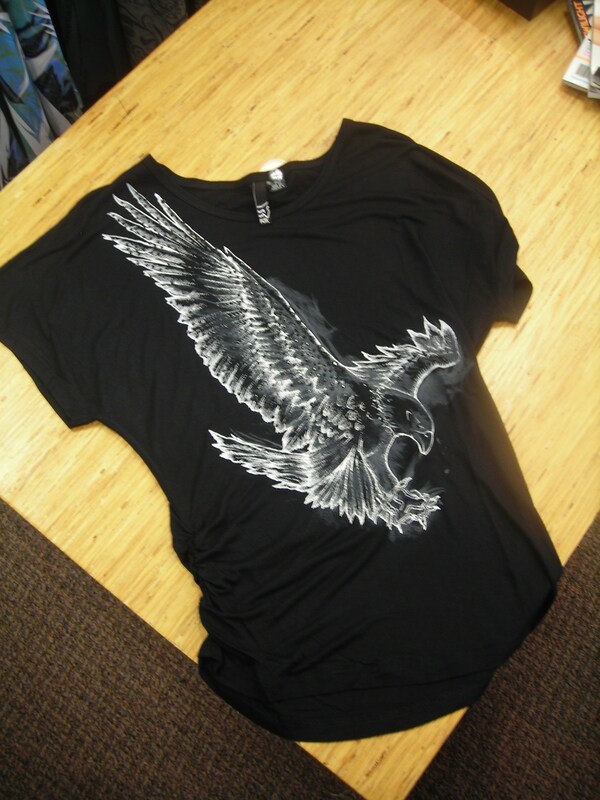 The fabric is much better for the weather and will be easy to wear with a tank or tee. Elastic Waist skirts are hot for spring and go perfectly with a tank and sleeveless vest. This floral one is my favorite; nothing says spring like a bright flower print. For the start of the season and when there is still a chill in the air we have a large selection of Premium denim. Brands such as LA Idol, Miss Me, Silver Jeans, and Machine. 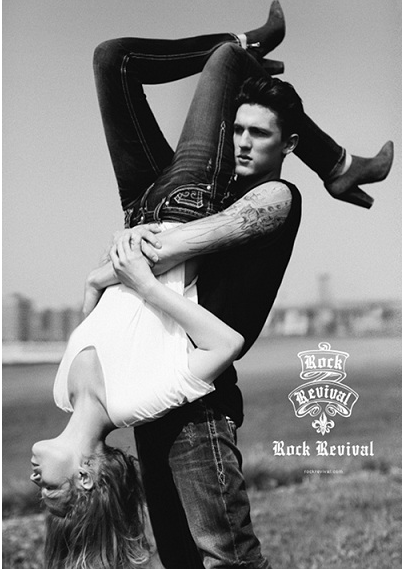 We have them in styles such as skinny, straight, boot, flare and bell cut. For a more relaxed look, whether you’re going to the gym, beach, or even your couch, we have the yoga pant. With a cute roll-over waist, you will be relaxing in style. We will also be carrying them in Capris and shorts. For whatever style fits you, Spring ’11 has something fabulous and trendy for you! Stay tuned for accessories! Ever have that problem, where you wake up in the morning, have a hot date or it’s just going to be a night out on the town with your girl friends and you have no idea what you are going to wear? You stand there and look at your closet, try on a million different things and nothing seems to turn out right! So you end up getting frustrated and you go out to the stores to buy a new outfit. I am your personal shopper here at Glik’s and have come up with some HOT day and night outfits for Fall to ease your mind for when those last-minute decisions need to be made! Ever thought something so simple would work? 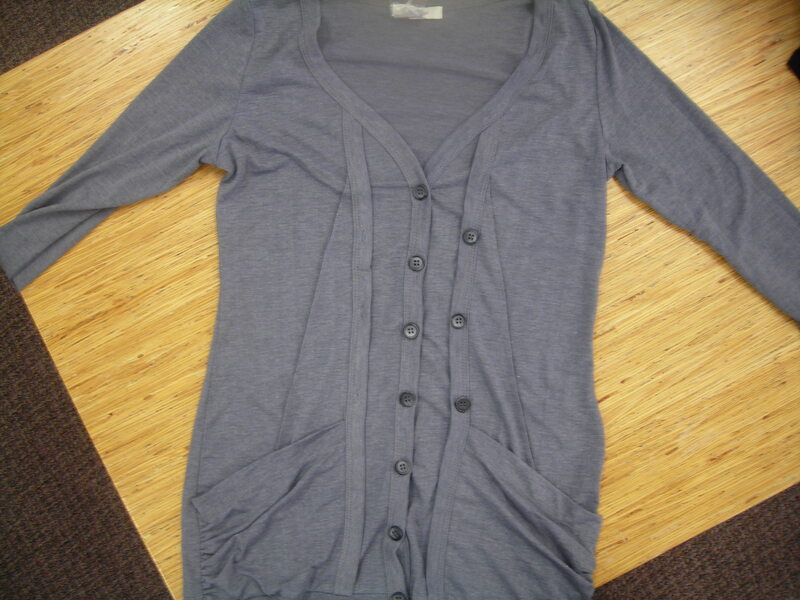 This cardigan by Ya is an easy fashionable item to make any outfit work. Camis are the always going to be an easy layering piece may it be summer or fall. 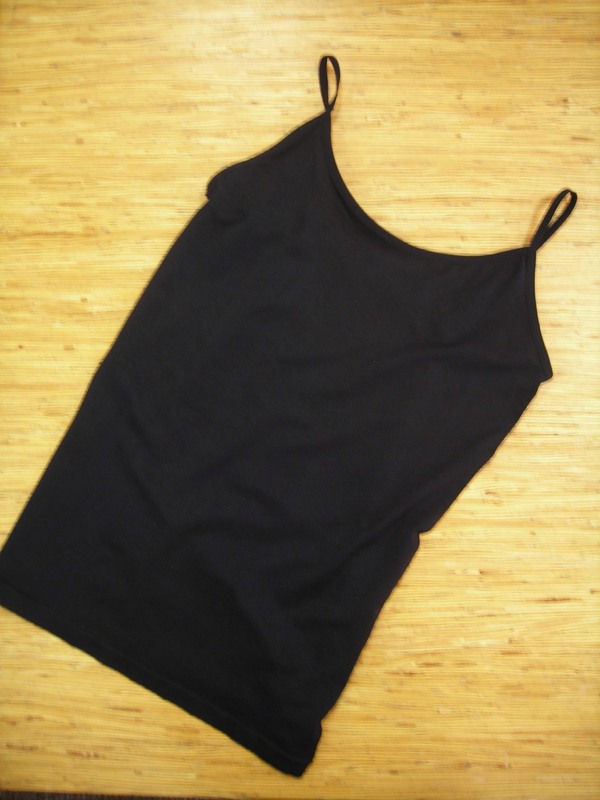 This simple black cami from Currant is a must have! Denim is good for all occasions. 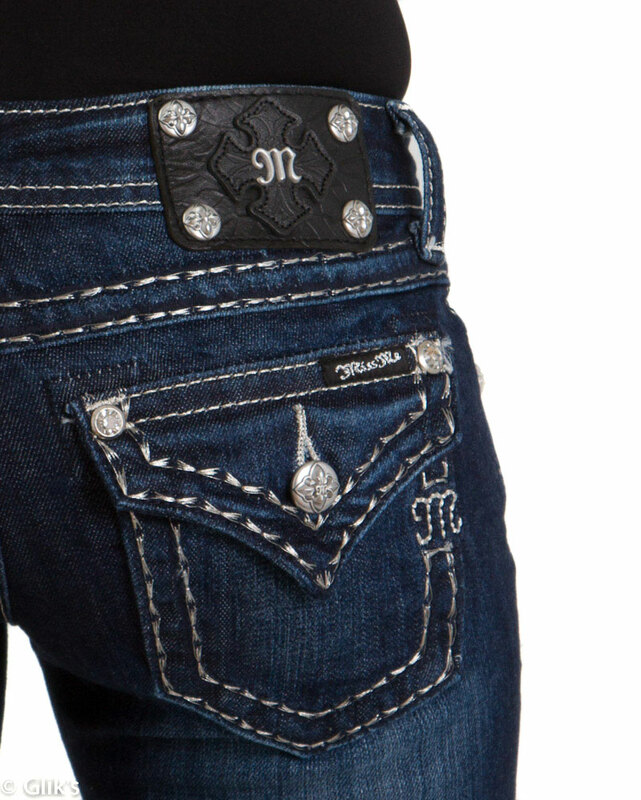 Miss Me jeans has a great fit and the detailing on the pockets will draw anyone’s attention! Here is a great Shootie Bootie by Paprika! This multi-chain boot will add spice to your outfit and show your friends how funky you can really be. You can never accessorize too much. LA fashion jewelry is HOT. 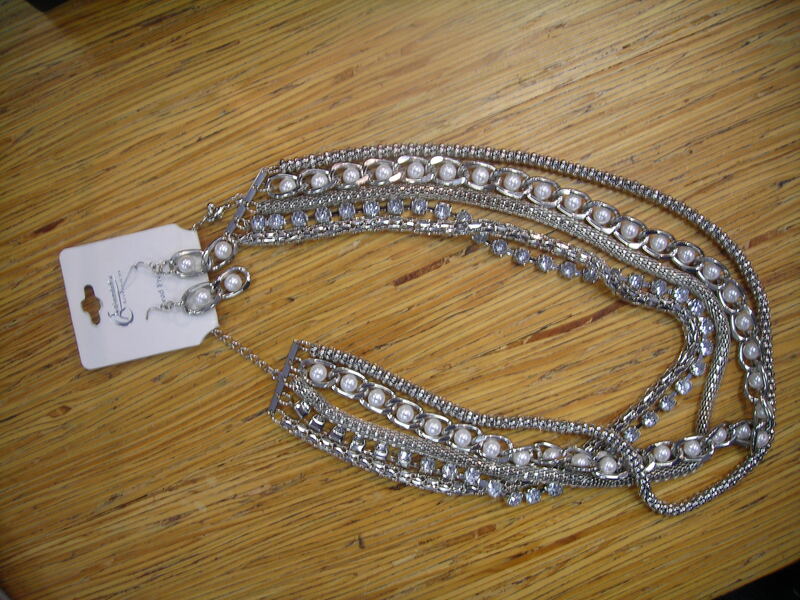 Here is a great earring and necklace chain piece by Cordelia. When a girl thinks about Fox, they might not think they have fashionable styles. This shirt by them proves them wrong ! Are you finding that you have no jeans that fit. Jeggings are a perfect item to have when you are having one of those days! 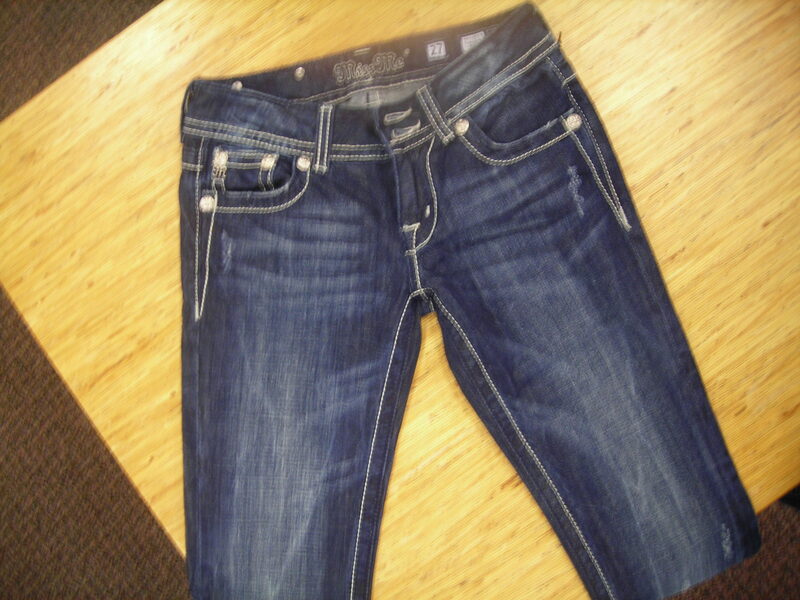 Dark denim jeggings by Big Star are a must have. The Shootie Bootie isn’t just for the day time! It can be a great heel for the night as well. 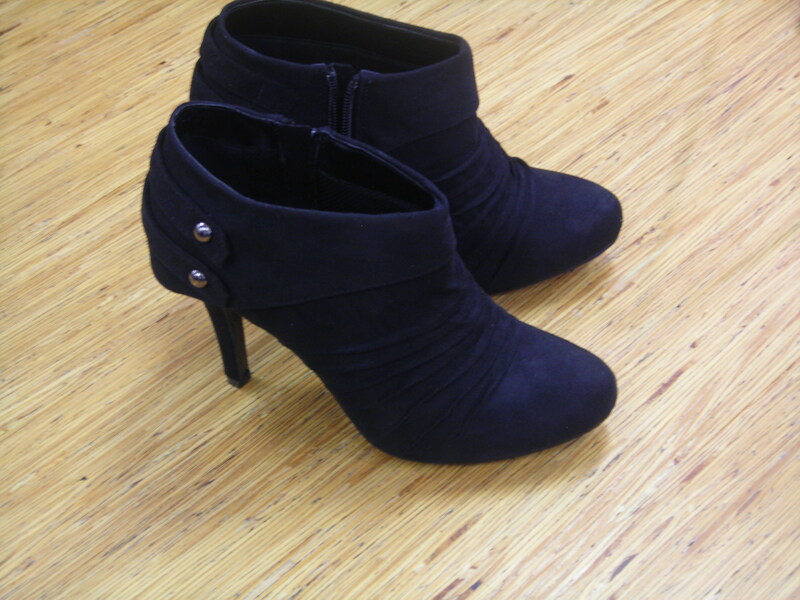 This double button, cuff shootie bootie by Codify is HOT! A little jewelry can go a long way with an outfit. 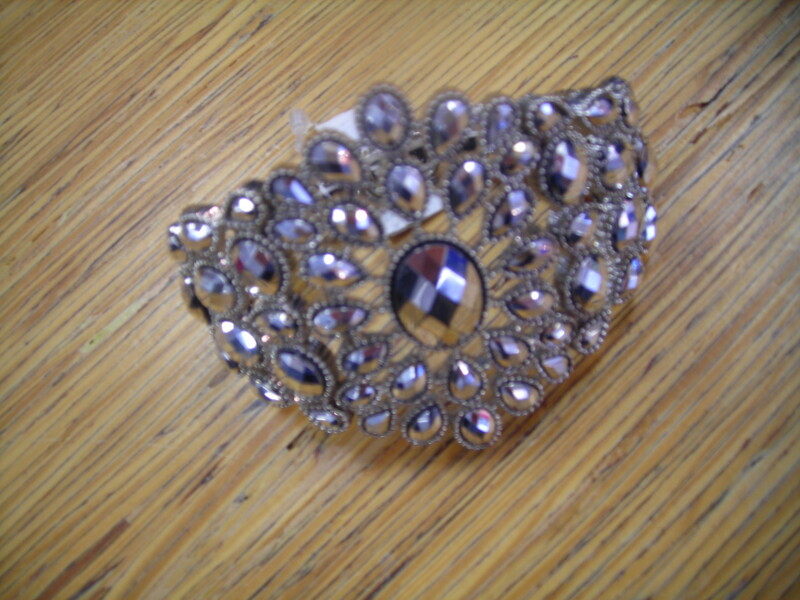 Spice up your outfit with this big jeweled bracelet that is hot from LA. 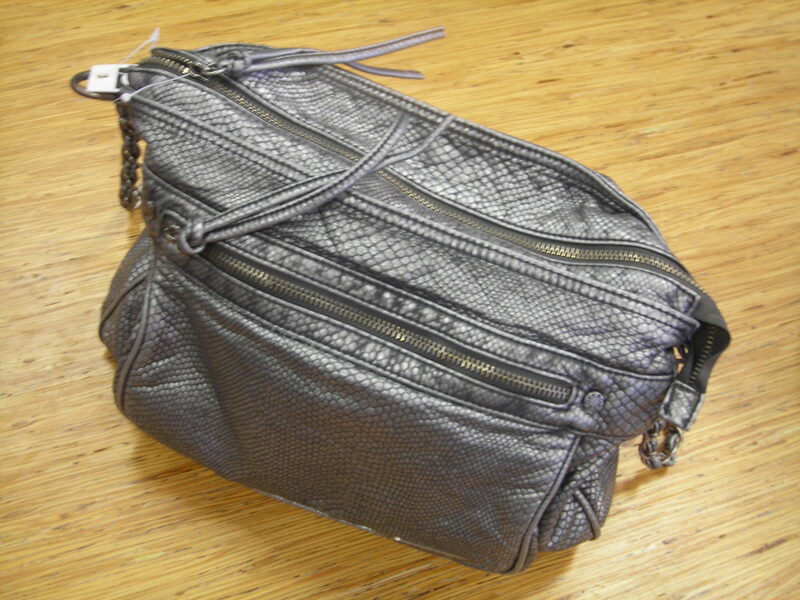 This gunmetal purse from Roxy adds a rockstar feel to any outfit!